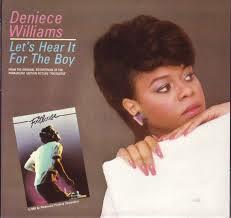 Deniece Williams’ “Let’s Hear it for the Boy” was number one on the Pop, R&B and Dance charts in June 1984. It was certified platinum and nominated for the Oscar for Best Song. I hadn’t thought of this song in years and had forgotten that it was such a monster hit. As I considered writing about it for this blog I wondered if its success was solely due to the fact that it was on the Footloose soundtrack. I also wondered if this 1980’s bubble gum pop song was on par with some of the other songs I’ve written about on this blog (songs by Michael Jackson, R.E.M., Cyndi Lauper, Duran Duran, Talking Heads, and Cameo). Recently, I sat down to watch the video for the first time in at least a decade. I immediately began tapping my foot, singing along and feeling happy and at ease (I’m now pretty sure the FDA has designated LHIFTB as a mild anti-depressant). But does this mean it’s a GREAT pop song? Let’s try to figure it out. Watch the video and then read my 4 favorite things about the song aka “Let’s hear it for ‘Let’s Hear it For the Boy.’ Let’s see if we reach a conclusion by the end of this post. 3. The Boy. So tell me . . . why does she love this guy? He’s inarticulate, he’s a poor dress, he’s not romantic, he sings off-key, etc, etc, etc. This boy has set the bar pretty low but still, he’s inspired someone to sing (in 4 different octaves) about their love for him someone . Have no fear underachievers – love. is. possible. 2. Football Half Shirts. Please refer to the music video ( 2:21 – 2:36). 1. Good Company. 1984 was a great year for pop music soundtracks. 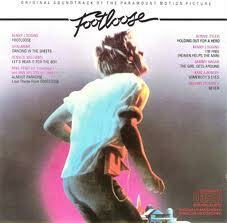 In addition to Williams’ hit single, the Footloose soundtrack also contained Kenny Loggins’ title track and the Shalamar hit, “Dancing in the Sheets.” Other great pop soundtracks from 1984 included Ghostbusters, Against All Odds, and of course, Purple Rain. Deniece was at the beginning of a big, big trend. So – what do you think? Is “Let’s Hear it for the Boy,” a great song in a great (the greatest) year of pop music? Tell me what you think in the comments. This entry was posted in Number Ones, Soundtracks and tagged 1980s, 1984, Dance Music, Deniece Williams, Footloose, Mariah Carey, Music, Music Video, nostalgia, Number One Song, Pop Music, R&B, Soul, Soundtrack on June 2, 2014 by Sean. Loved this song but put it down to watching Willard attempt to dance plus the jeans showed off Ren’s package very well. Go on, have a look – you know you want to! Certainly a great uplifting song Sean which anyone would want to dance to. Over here in the UK it was a huge hit as well but made it only to number 2 in the singles chart. 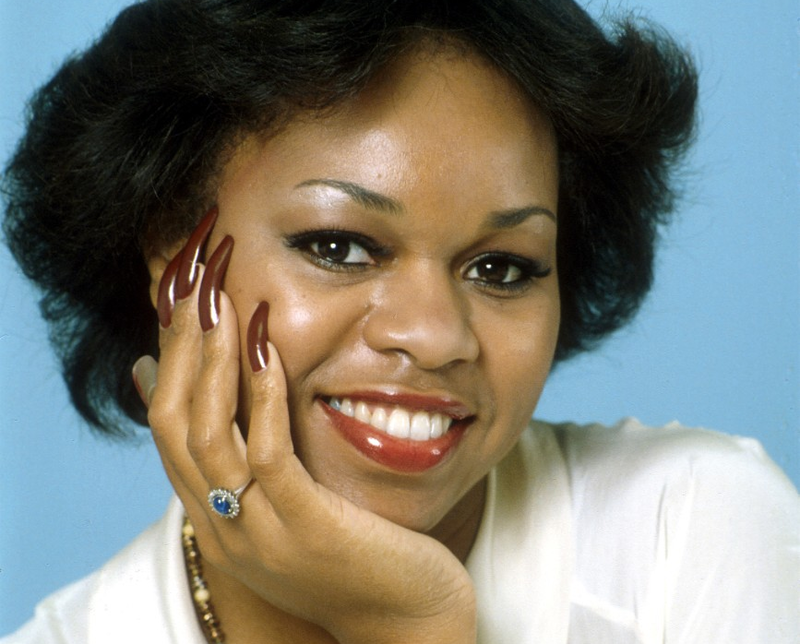 Whereas, my all time favourite Deniece Williams song, “Free”, reached number 1 over here but only number 2 in the States. She reminds me somewhat of Gloria Gaynor in how she sings. I don’t think they ever sang together, but it would have been a perfect pairing. Certainly a great uplifting song Sean which anyone would want to dance to. Over here in the UK, it was a huge hit but made it only to number 2 in the singles chart. Whereas, my all time favourite Deniece Williams song, “Free”, reached number 1 over here but only number 2 in the States. She reminds me somewhat of Gloria Gaynor in how she sings. I don’t think they ever sang together, but it would have been a perfect pairing. I love that you know and love the song Free. It’s also interesting to note that after all of this great pop success she pursued gospel music.